Dr. Gary Landsberg works at the North Toronto Animal Clinic in Thornhill, Ontario, and is a 1976 graduate of the Ontario Veterinary College. He is board certified by the American College of Veterinary Behaviorists (ACVB) and the European College of Animal Welfare and Behavioural Medicine (ECAWBM). He is a former president of the Toronto Academy of Veterinary Medicine, American Veterinary Society of Animal Behavior, and ACVB. He is an adjunct professor of the Ontario Veterinary College, a behavior consultant for the Veterinary Information Network, and is director of Veterinary Affairs for CanCog Technologies. 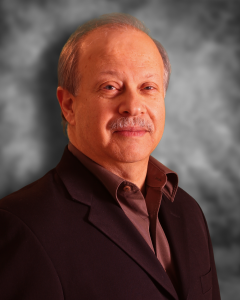 Dr. Landsberg is coauthor of Handbook of Behavior Problems of the Dog & Cat, as well as numerous journal publications and chapters in veterinary texts. He’s a coauthor of client-behavior handouts, one set from the American Animal Hospital Association, and a book of behavior handouts from LifeLearn. Dr. Landsberg is a frequent speaker at veterinary conferences around the world as well as at events for pets owners and has hosted his own TV and radio shows in Canada.